SKU: m7632pink. Listed in: Masks, Masquerade. 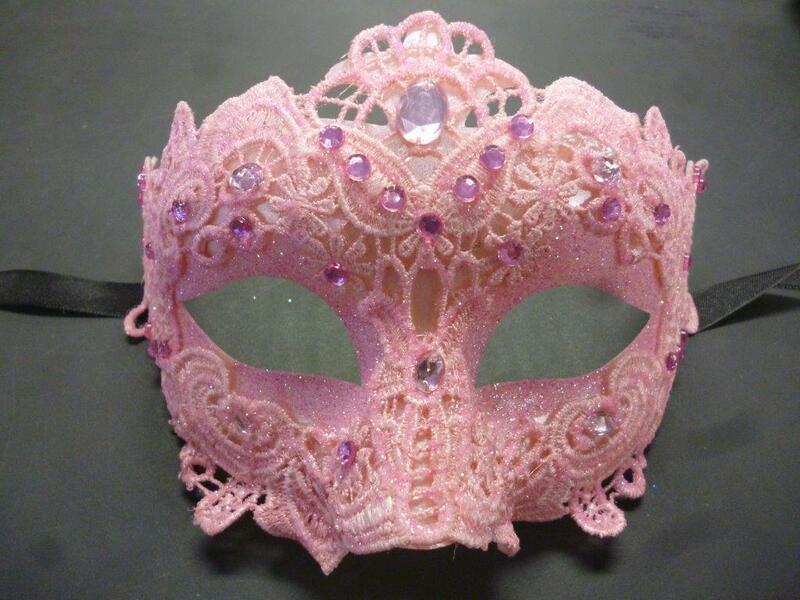 Tags: mask, masks, masquerade, Pink, venetian. 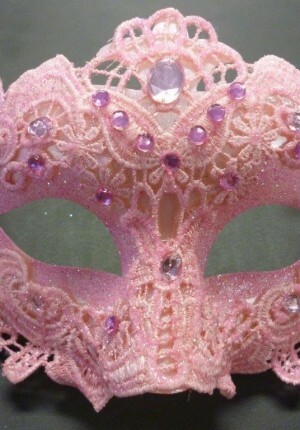 Venetian pink Lace masquerade Mask. Ribbon ties and pink crystal decoration.